As an avid reality singing show viewer, I vividly remember Tori Kelly’s Season 9 American Idol audition and how impressed I was with her natural and impressive melismas and belting endurance. Simon Cowell was not impressed, and I could see why. At that point, she clearly had tons of talent, but her personal musical style and confidence was not there. I am so glad she didn’t continue with the pop music machine (not that I have anything against Idol, Kelly and Jennifer Hudson are QUEENS) because this gave her the chance to work on her own music and her own style of singing and writing. A couple EPs, singles, and several tours later, we finally get a full length album, and it was all worth the wait because Unbreakable Smile is literally pop perfection. The only criticism I have for this intro is that it is under a minute and a half. Tori teased that she might record a full version of this song and I literally can’t wait for it. I think this track fully exemplifies Tori’s signature style. 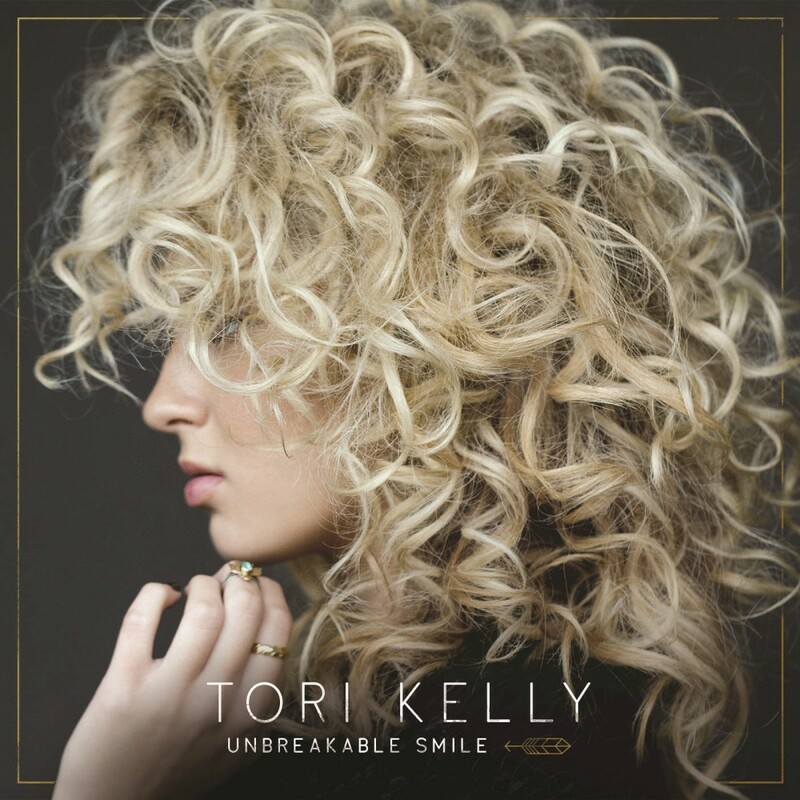 The honest lyrical flow, old school R&B vibes, and tons of vocal layers is all Tori, and I love it. I will NEVER get tired of this song. The perfectly constructed melody, super catchy beat, and the awesome horn arrangement will have me dancing and singing along forever. Tori called this “Nobody Love’s cousin,” and I can totally see why. The retro-soul pop vibe this track has is so infectious, and will grab your attention instantly. I can see Tori doing a remix duet with soul singer/songwriter, Allen Stone, it would be too epic. This song has the same effect as my all time favorite Tori song, “All In My Head,” literally all the feels. She will take you to your own “first heartbreak” when you listen along. Two talented singer/songwriters collaborating is pretty much musical heaven. Tori and Ed slayed this duet, and it has the perfect balance of both of their styles. This belt-y power pop ballad has such a Demi Lovato vibe and I’m all about this. Powerful lyrics + powerful screlting (the skillful technique of screaming and belting) = life. I love the message of this song. There is also such a cool/chill ambience to the production of this song, a very nice texture that really adds to the album as a whole. Tori seriously slays live. Her ability to fully emote lyrics, belt her heart out, AND accompany herself with impressive guitar arrangements is what sets her apart. This recording of “Funny” is LIVE people, LIVE. Tori tweeted that this track was the “part 2” to “All In My Head” (which happens to be my all time favorite Tori song, so I was obviously pumped about it. It’s not one of those songs that you latch on to immediately, but those are the best kinds because they grow on you and continue to have deeper meaning. At first listen, this was the cheesiest/cutest song. And I mean this in the best way possible, besides, I am the number one fan of cheesy things. Any song with “California” in the title will make you want to go to the beach, and this is no different. This jam has all of the late 90s/early 00s pop R&B feels and it just makes you want to snap and sway along. One of my favorites on the album! Such a fun, upbeat, and catchy song! I love all of the background vocals (must have something to do with my obsession with a cappella). And there you have it. If you are a fan of pop music, Tori is your girl. If you get a chance, definitely catch her live show. She is an incredible musician and performer, and she’s so likable as a person, you’ll want to be bffs.